This entry was posted in 1984, Newspaper Articles on September 20, 1984 by glen_h. Overview: Building of the Tabor Mnt. Observatory. 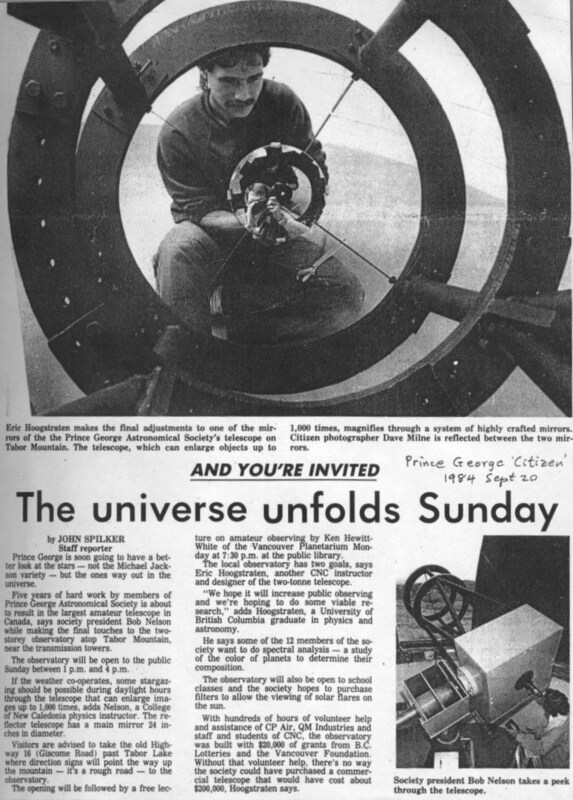 Shows images of telescope being readied for transport to the Tabor Mnt. observatory as well as putting it into the dome. This entry was posted in 1984, Newspaper Articles on June 28, 1984 by glen_h.